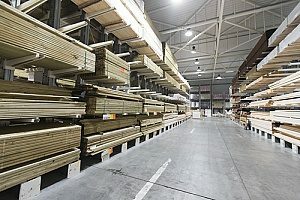 Treated Products - Curtis Lumber and Plywood, Inc.
At Curtis Lumber & Plywood Terminal, we proudly offer a vast selection of top-quality treated products for all kinds of projects. Speciality treated timber is coated to prevent future damage from insects, wood rot and fungus, and natural decay, so it’s perfect for structures that will stand the test of time. PYRO-GUARD® is fire-retardant-treated lumber and plywood that is produced in accordance with quality control procedures mandated by the International Code Counsel Evaluation Service (ICC-ES). We offer PYRO-GUARD® treated lumber in a variety of sizes from 1×3’ to 4×16’. We also offer additional PYRO-GUARD® products including ACX plywood, Rated Sheathing Plywood and Underlayment Grade Tongue & Groove plywood in a variety of sizes. Exterior Fire-X™ (XFX) is pressure-impregnated fire-retardant lumber and plywood that provides comprehensive fire protection for projects that will likely be exposed to hot outside weather, as well as other humid environments. Exterior Fire-X™ (XFX) can be used outdoors and indoors, and offers the workability of wood with the fire-safety benefits of non-combustible materials. We offer Exterior Fire-X™ (XFX) in sizes from 2×4’ to 6×16’, as well as 5/4×6 Radius Edge Decking, and Rated Sheathing plywood in several sizes. Exterior Fire-X™ BLUE is color coded with a pressure-applied blue stain for easy identification, with the same fire performance characteristics as Exterior Fire-X™. Exterior Fire-X™ BLUE is widely specified by government agencies and is often used in the nuclear construction and ship-building industries. Micro-Guard™ lumber and plywood is pressure-treated wood that protects against corrosion, termites and fungal decay. Furthermore, we only offer Micro-Guard™ Treated Lumber and Plywood that has been Kiln Dried After Treatment (KDAT) to ensure that all products are brought down to workable moisture levels. This prevents moisture-related problems from occurring in the future, such as warping and twisting in lumber, or buckling or crowning in installed plywood projects. We offer Micro-Guard™ in sizes from 2×4’ to 8×20’, as well as 5/4×12 Nosed Stepping. Copper Azole (CA) Treated Lumber is pressure-treated with copper-based preservative that penetrates the wood’s cellular structure, providing long-lasting resistance to decay, rot, and termites. We offer Copper Azole Rot and Decay Resistant Treated Lumber in sizes ranging from 2×4’ to 6×24’.